The Tigrova darn her mask before leaving her dorm for the Circus of Illusions at Merirosvot Lahti. 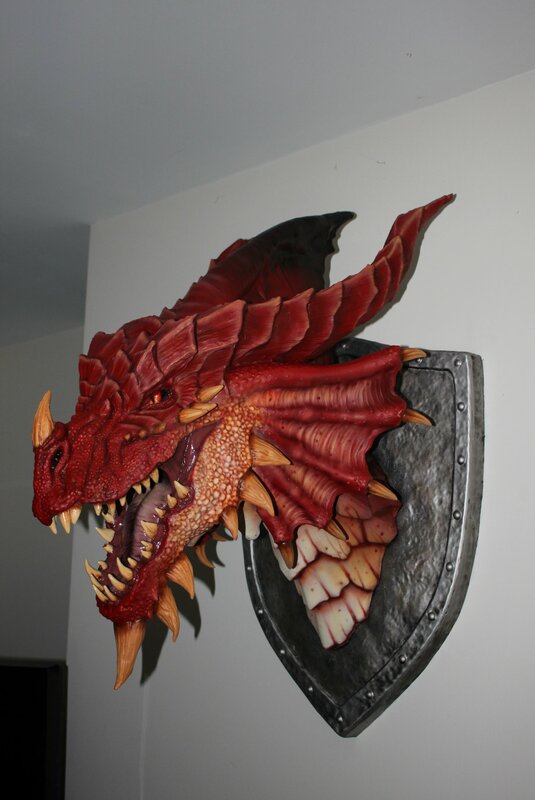 She had been quite happy he masks turned into a brown and red Dragon head with golden eyes. She played with the face in the girl dorm bathroom mirrors. Turning her head this way and that. Admiring how the eyes blinked when she blinked and the beast bared its teeth when she smiled. 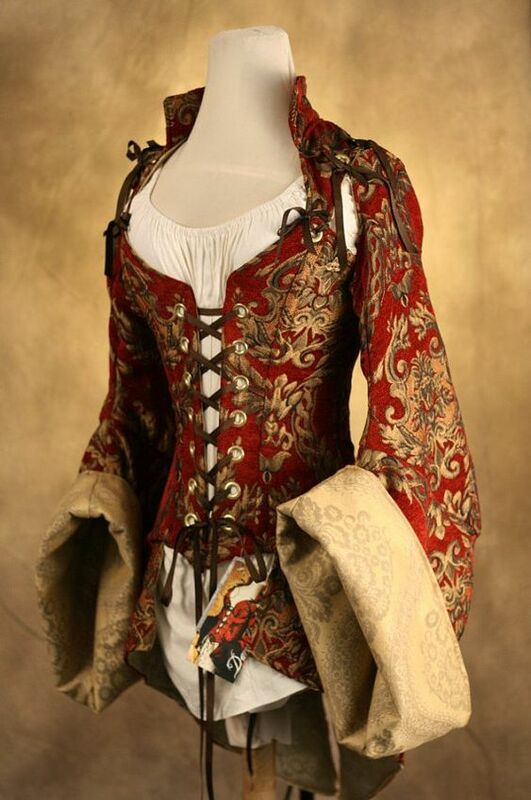 To match the dragon mask she decided to throw on a red corset coat over her gold and brown outfit that her mother not so loving addresses as her peasant dress. The total assembles gave a look of a pirate Dragon. Her brother yelled through the door that they were going to be late to the fair, which was not the case at all. They would likely be the first to arrive. Still she knew her brother would not give her a moment of peace so they soon left not allowing Esmeray to put on any makeup. She rashinized to herself, shouldn’t matter anyway if she was going to wear the mask all evening. With a coin purse clinking against her belt she chased her brother, Altun Aysoy wearing a young baboon monkey mask through the visiting Circle fair grounds as he made his way from booth, to ride, to show, to booth again. Her eleven-year-old brother was elated by all the tractions and kept saying things like. 'Müthiş!,' ‘I love this school!’ and ‘I can’t believe I get to go here for seven years!’ Apparently, his homework assignments had not caught up to the first year yet and he was still under the impression that school consisted mainly of feasts, new friends, and fairs. After throwing a ball into some magically floating hoops, Altun ran into the bubble line and try to talk his sister into floating in one with him again. Luckly, Esmeray was about to convincing him that he would float higher without her. After paying the bubbler, and seen to it that he floated selfie above the fair, the dragon headed girl brought her selfa beef perogie and leaning against a post for a rest. Her dragon head appeared to nibbling daintily on the snack as she watched masked students, villages local visiting Russians walked by. Esmeray was supposed to share watching over Alten with her younger sister, during the fair. Being the same house as her younger brother, it was natural for her to take the first shift. Unfortunately, because they got such an early start, she did not get a chance to find out what form her sisters wearth mask took. If she did not find her, she knew she would be stuck babysitting Alten all night. 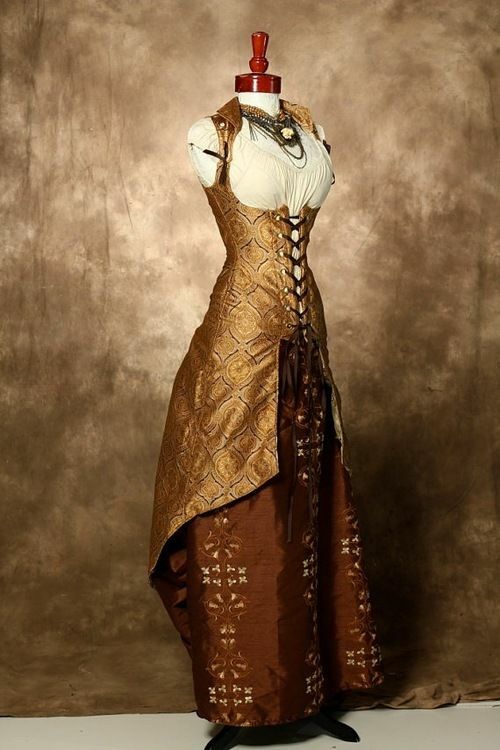 Now that she had a second to think about it she realized that maybe her sister would be wearing an outfit that Esmeray would recognize. Esmeray's golden dragon eye pupils narrowed to slits as it focused on each passing student. Suddenly, it caught a flash of a teal fabric (her sisters favorite color.) The dragon throwing the rest of its pastry in its mouth, chased after its new prey. Reaching out between two people, Esmeray was barely able to tap the shoulder teal wearing animal headed form when she suddenly realized it couldn’t be her sister.